The luck of the Irish can only get you so far. 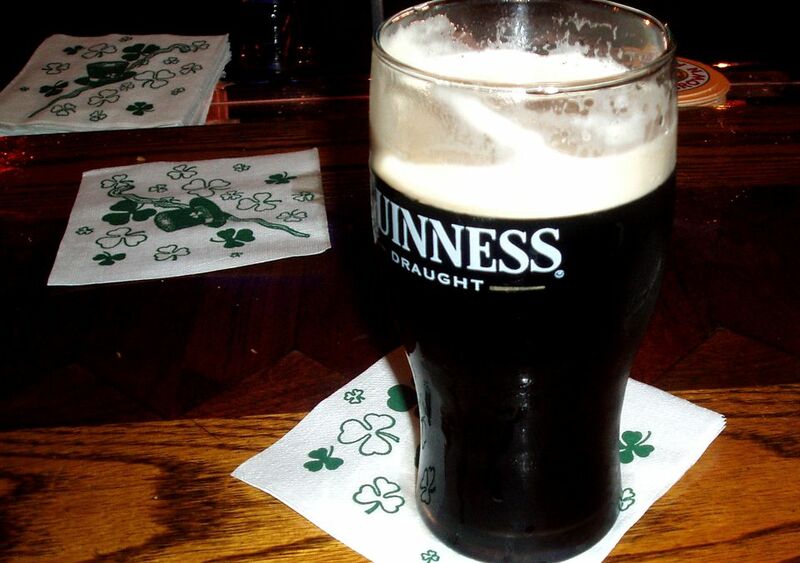 Don't leave your perfectly poured pint of Guinness to chance this St. Patrick's Day. Instead, don your green and head straight to one of these five tried-and-true Irish pubs, set within easy walking—scratch that, jigging—distance of the tail end of New York City's St. Patrick's Day parade (which starts at 11am on March 17th, running up 5th Avenue from 44th Street, before disbanding at 79th Street). It's here, on Manhattan's Upper East Side, that parade-goers pour out in search of a little post-parade, end-of-the-rainbow pot of gold—or at least a solid mug filled with green beer. So channel your inner redhead and set out for some Celtic-inspired revelry—Erin go bragh! Looking for more ways to make the most of St. Patrick's Day? Check out these 5 Fun Things to Do for St. Patrick's Day in NYC. This pub attracts a slightly older, more demure crowd than some of the Upper East Side's rowdier neighborhood pubs. The no-frills Ryan's Daughter touts a dedicated locals following. Walls are plastered with old movie memorabilia (much of which nods to the bar's namesake 1970s film, about an Irish woman's affair with a British officer) along with nostalgic photos of Ireland. Order up a Guinness or an Irish coffee, grab some free chips, and perhaps have a go at shooting hoops courtesy of their in-pub basketball game. A second floor with a full bar is open for spillover on weekends and during special events like the parade. Doc Watson's pairs a generous selection of draft and craft beers with Irish specialities like Irish beef stew, shepherd's pie, and traditional Irish breakfast (Irish sausage, bacon, fried egg, black and white pudding, baked beans, and Irish soda bread). The pub reels in crowds with occasional live music and always keeps things interesting with its digital jukebox and regular food and drink specials. It'll be elbow-to-elbow on St. Paddy's Day, but the crowd is worth it. Bagpipe players regular play here post parade, and it's a treat you don't want to miss. Merrion Square Pub is a contemporary take on the traditional joint. There is a wood-paneled bar, exposed brick walls, and oak barrel table decor. Crowds gather around the pool table and skee ball machine where complete strangers bet each other a pint. Expect a friendly waitstaff to dole out more than two dozen beers on tap, including plenty of craft and seasonal brews. If you want to go back on a weekday, you'll find a bargain. The bar offers a free hamburger with the purchase of a drink, and free wings with the purchase of a pitcher during weekday happy hour. Trinity Pub is authentic as you can get. Expect a fail-safe merrymaking vibe in this intimate, brick-walled pub, nurtured by bartenders who regularly address patrons by name (though forgive them if they don't remember it during the steady stream of revelers come St. Patrick's Day! ), and a generous selection of specialty cocktails and beers on tap. Fall in love with the bar on St. Paddy's, and you can even come back and have a go at tending bar yourself. The bar has regular guest-bartending gigs on Thursdays. This pub is definitely one of the smallest; it's only one room. But it makes up for it in character. Patrons frequent this bar for its laid-back vibe and charming Irish barkeeps. Pints are affordable and the atmosphere is refreshingly grown-up for what can be an otherwise raucous neighborhood bar scene. Happy hour deals, darts, trivia nights, and a jukebox only add to the intimate pub's appeal.